OXFORD, Miss. 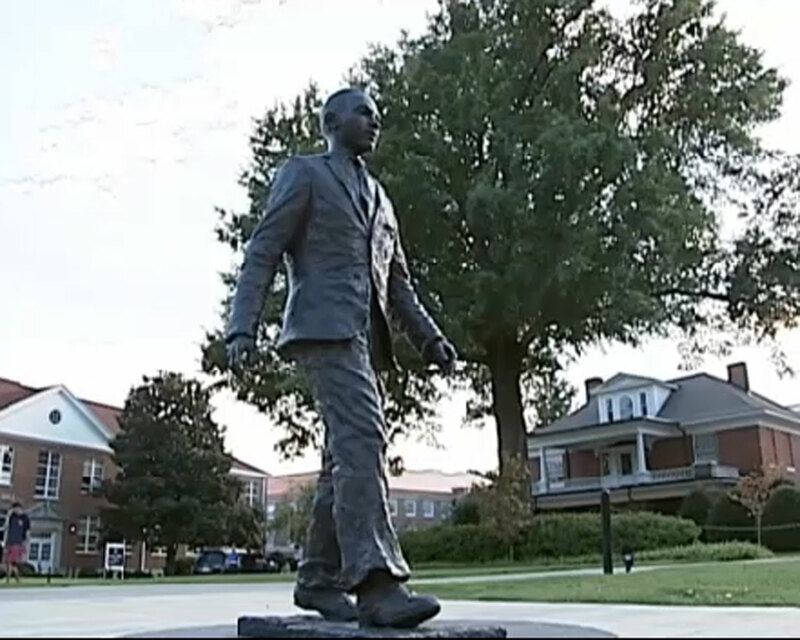 - The FBI is trying to determine who tied a noose around the neck of a statue of James Meredith, whose admission into the University of Mississippi marked the integration of the school in 1962. Mississippi NAACP president Derrick Johnson on Tuesday called the vandalism on the Ole Miss campus "a racial hate crime." University Police Chief Calvin Sellers says the call about the vandalism came Sunday morning. Officers found the rope noose and a pre-2003 Georgia state flag with the Confederate battle flag on the statue's face. Sellers says two men were seen nearby early Sunday. The men were said to be heard shouting racial slurs, CBS affiliate WJTV reported. The only clothing description is that one of them was wearing camouflage pants, the station said. The FBI says it is assisting the investigation at the request of the University Police Department. Chancellor Dan Jones condemned the vandalism. calling it contrary to the beliefs and values of the university. According to WJTV, the Ole Miss Alumni Association said it is offering a $25,000 reward for information leading to an arrest. The station said it reached James Meredith by phone Monday evening but the 80-year-old civil rights pioneer declined to comment on the incident.